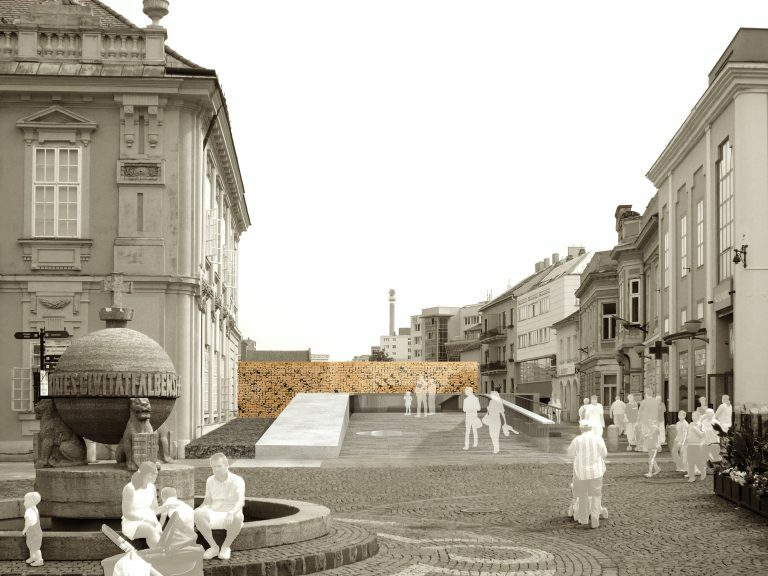 The once ruins of the royal basilica – in historical, intellectual, material and geometrical reality, these realities inseparably – bear such value, that can be unequivocally presented in this unique multi-layered context. 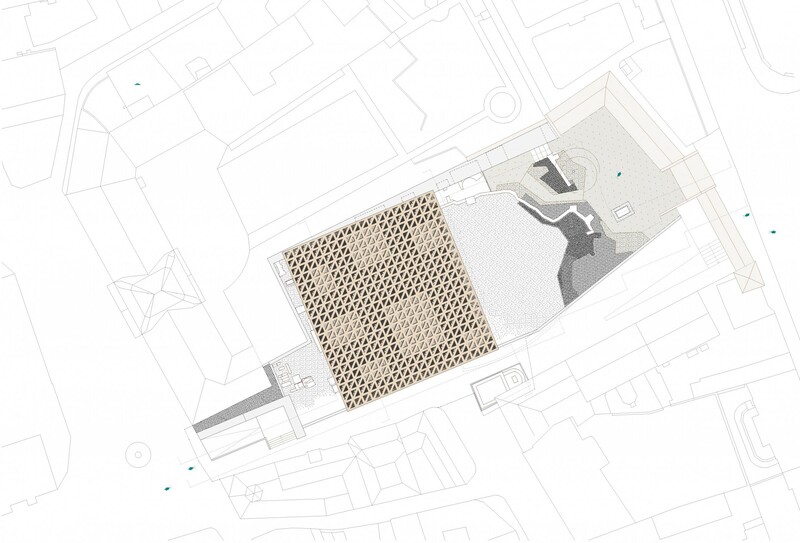 Our plan offers a “defining protective roof”, which beyond the function of ruin-protection; it emphasizes the sites significance in the urban context, consciously avoiding out-tracing the site of the ruins. 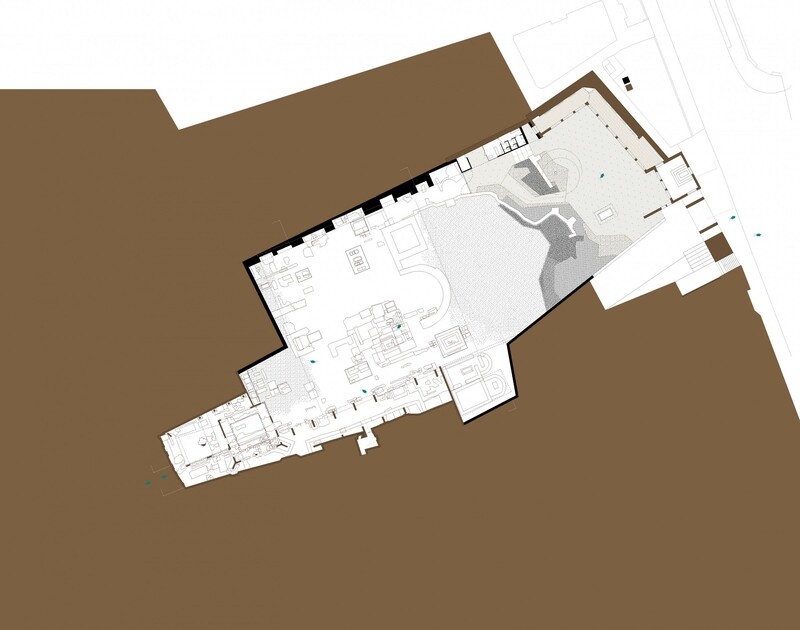 It creates a large depressed space wherein 7 certain places different floor-planed, hall-sized spaces ascend. 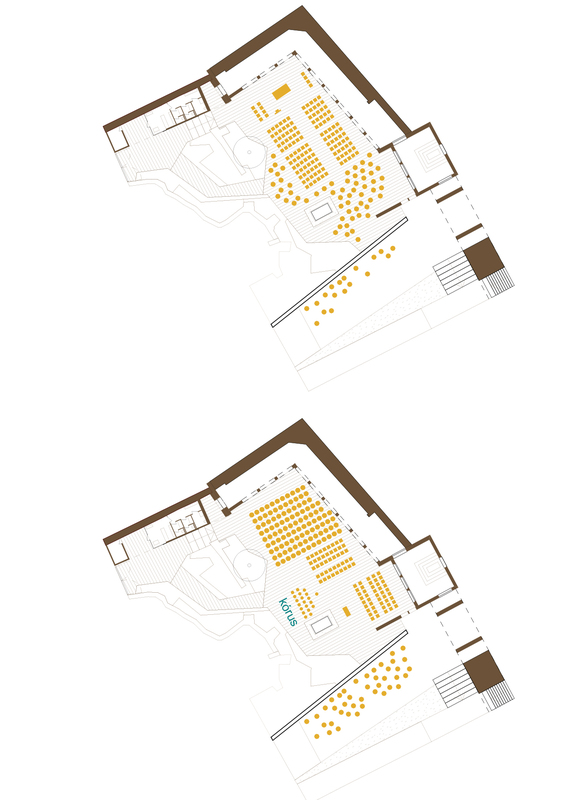 Thus the homogeneous ruin-carpet receives different emphasis – spatially and light-wise -, while the protective roof defines and helps orientate. 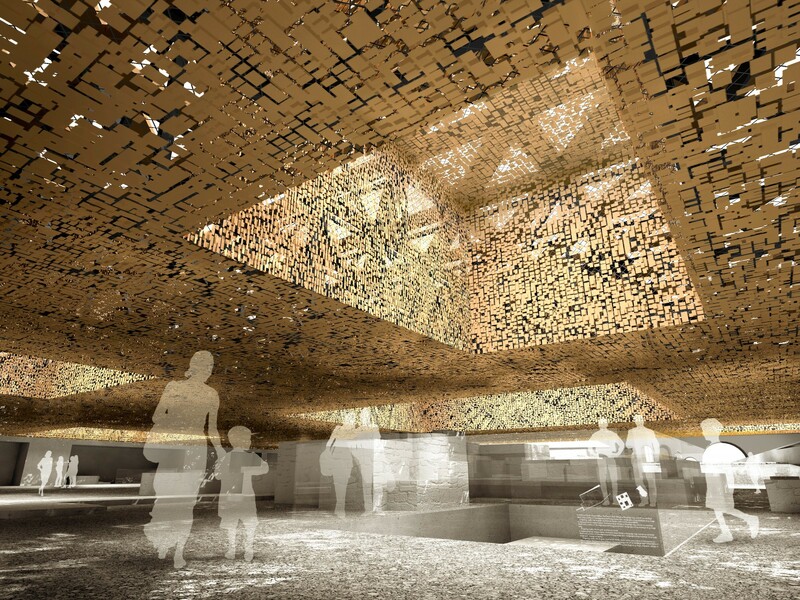 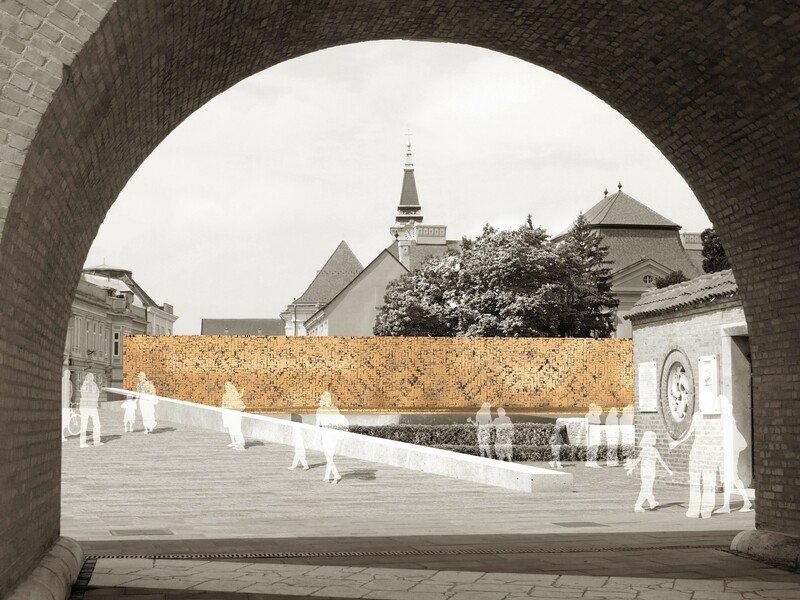 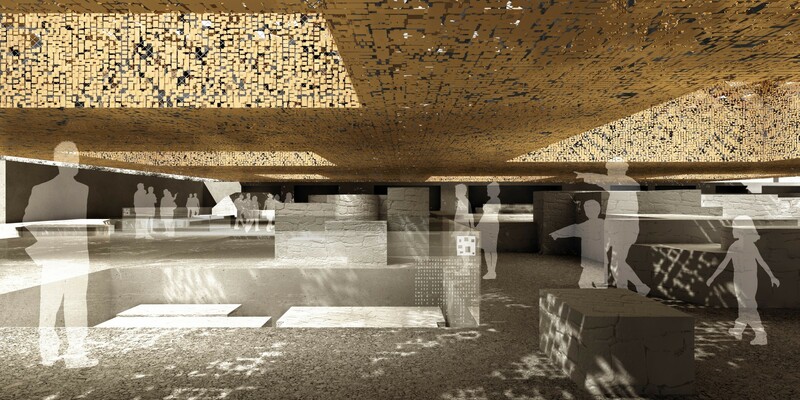 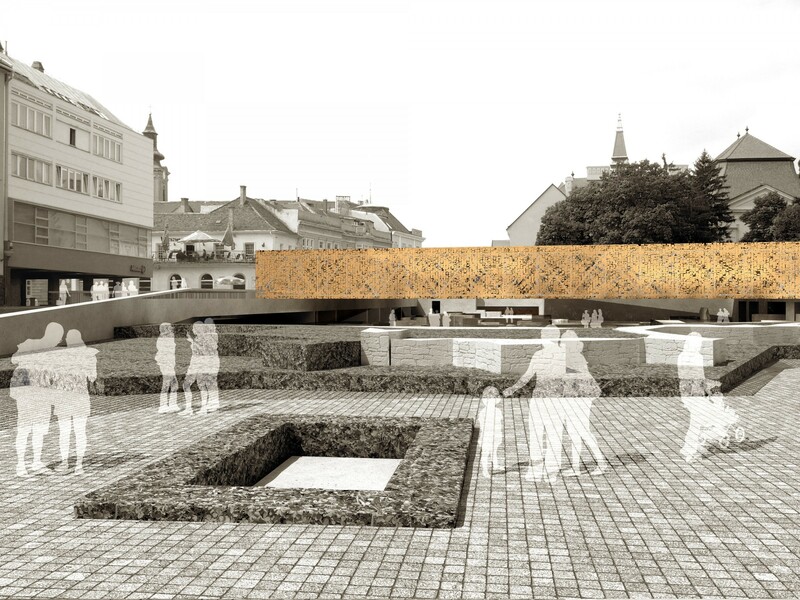 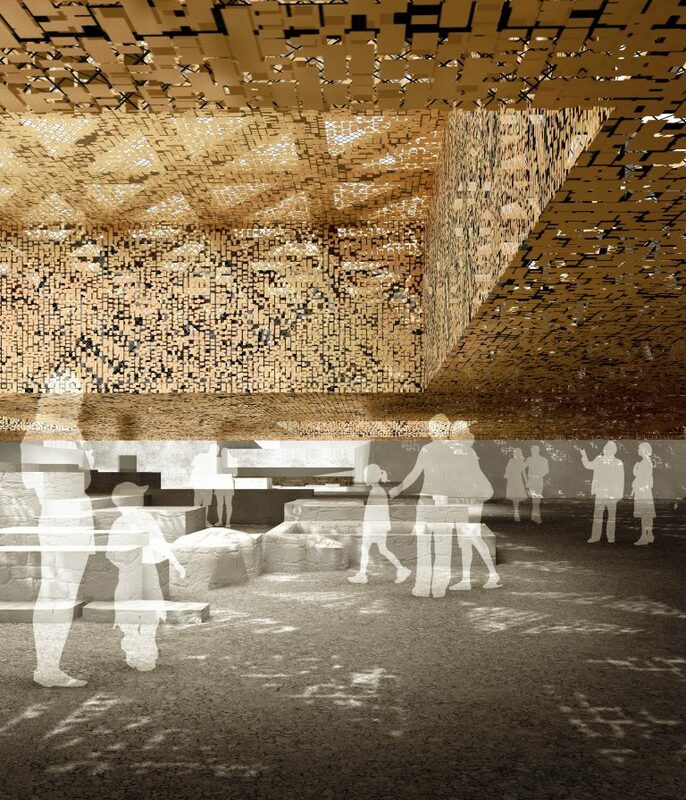 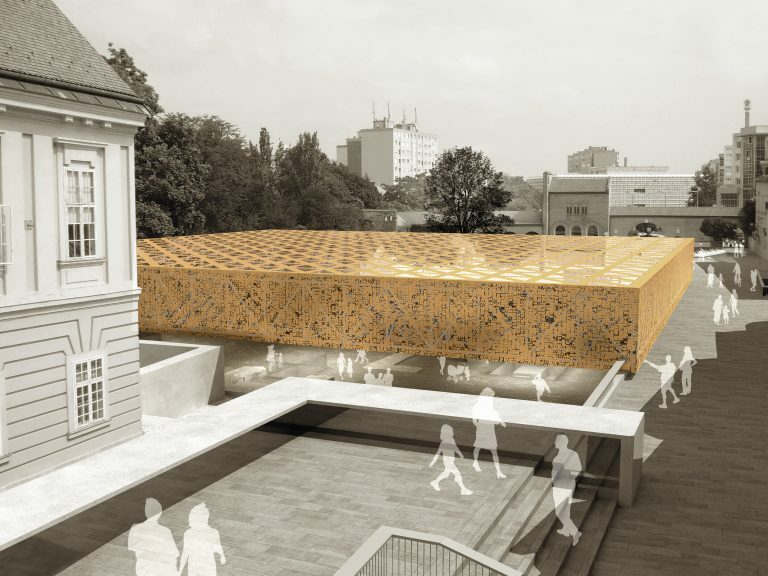 The evolving solid pattern – the montage of the historical ruin-carpet under, and the new piece’s spatial contemporary pattern on top – together explain the site. 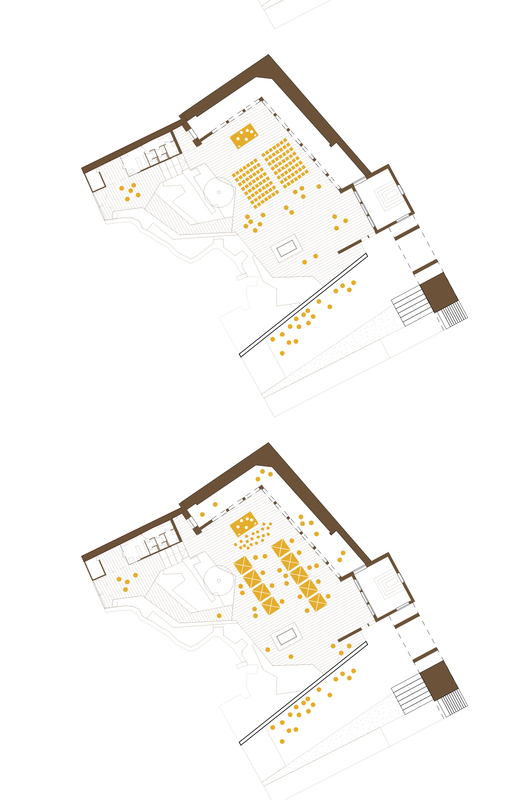 The area of the ruins can evolve into an exciting museum space.